Aquariums can be both soothing and entertaining to watch at the same time. Wayne Scott and Sue Ingold, co-owners of What’s In Your Tank, an aquarium sales and service store, know this first-hand. Wayne’s interest in fish tanks began after he was injured in the war. He had read about the calming effect of aquariums and wanted to further his healing with a tank in his home. Sue and her husband, Russ, held a passion for aquariums for many years. After Russ’ retirement, Sue wanted him to keep busy, so they began a small clown fish business. The trio met in 2009 while attending a meeting of aquarium enthusiasts. They often talked about starting their own business, but when Russ passed away, the dream was put on hold. In 2016, Sue and Wayne took that step of faith and opened the business. 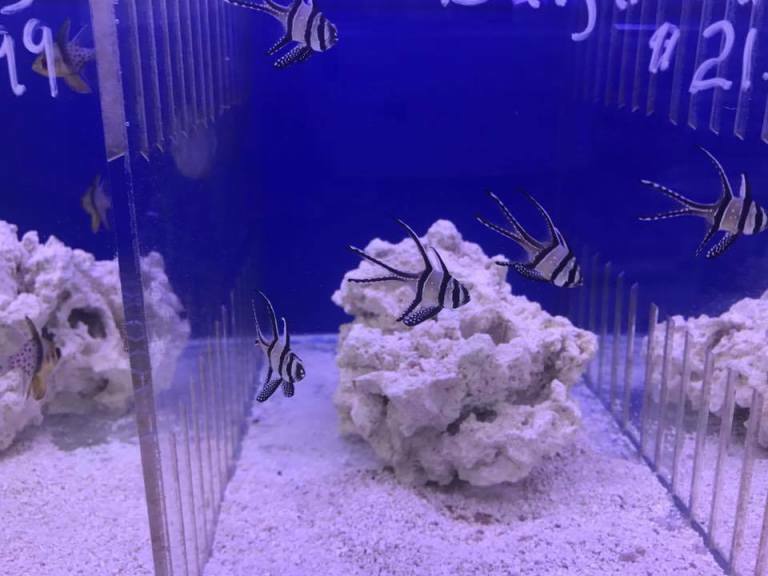 In addition to providing service for aquariums, customers can find a selection of fish and supplies for their salt and fresh water tanks. In August, store specials include: buy one fresh water Tetra and get the second for 99 cents, as well as a 20% discount on salt water tank supplies. What’s In Your Tank is located at 3940 Lake Padgett Drive, Land O Lakes, FL. For more information, call 813-388-9772 or go to http://whatsinyourtank.shop/.